It's officially Shattered Grid day, and you can hear all about the big event from the team that created it. That would be Mighty Morphin Power Rangers writer Kyle Higgins, Go Go Power Rangers writer Ryan Parrott, Mighty Morphin editor Dafna Pleban, and Power Rangers executive producer Brian Casentini, who all took some time to break down the launch of Shattered Grid with ComicBook.com. 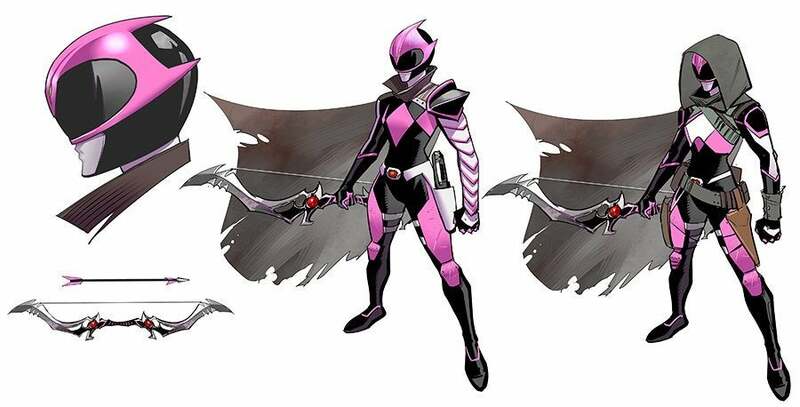 Before we get into Mighty Morphin Power Rangers #25 (and spoilers will follow by the way, so you've been warned), we have to first talk about last week's Go Go Power Rangers, which revealed the identity of the Ranger Slayer to be none other than the Pink Ranger. "So yeah, her name is the Ranger Slayer, which Kyle named. Thank you very much for that great name, and Dan Mora did an amazing job with the design," Parrott said. "I love that last splash page he made." The Ranger Slayer is heading to our timeline to retrieve Lord Drakkon, who is quite busy himself these days as revealed in Mighty Morphin. In fact, he manages to strike a blow, unlike any other enemy the Rangers have fought to this point, killing one of their own. That's right, a Power Ranger fell, and it was none other than Tommy Oliver. Killing any Ranger is a big deal (it only happened once in the main TV series), but killing someone like Tommy is whole other matter entirely. It was understandably shocking, but Higgins felt it was the right move. "From an emotional standpoint, it has to do with who Lord Drakkon is, and what he is trying to achieve, and what motivates him," Higgins said. "I would also say that from the Ranger team's perspective, this is something they have not experienced before; the loss of one of their own," Higgins said. "And just when it happens, it is when everything changes, and now when they're at their lowest, they're going to have to come together and work through it for the state of reality." There's even more at stake though, and this sets the tone and ignites the fuse for the rest of the story. "So, it's working on a couple different levels there," Higgins said. 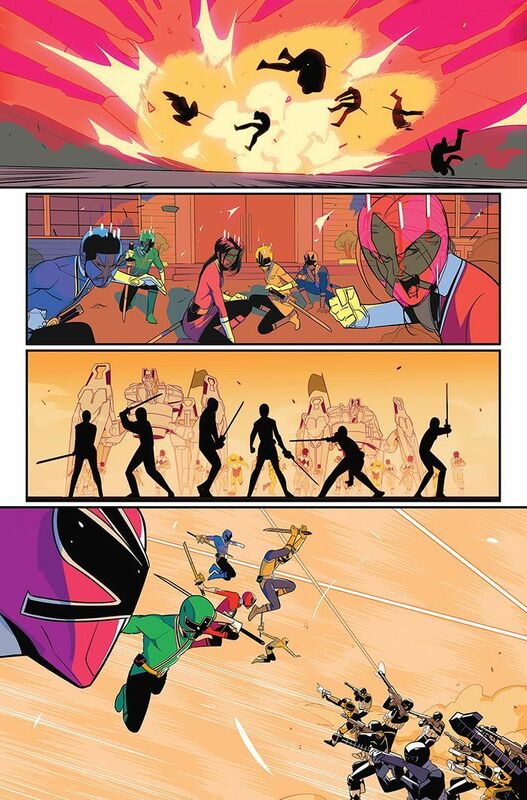 "And it just felt like the right kickoff moment to set the stakes for what we've been saying is arguably the- definitely the biggest Power Ranger story ever told in comics. I would say, arguably, one of the biggest Power Ranger stories ever told. So if you're going to launch with something like that, you got to lead with something big." 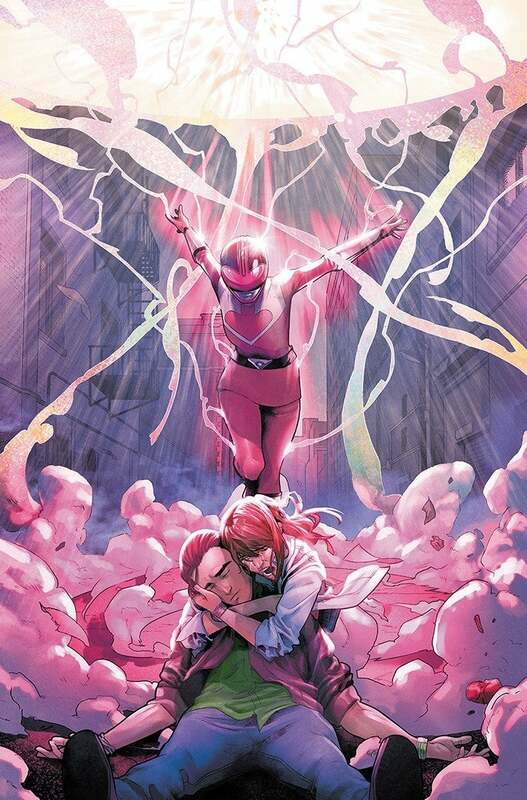 Shattered Grid has managed to ignite fans hungry for something different, and that anticipation breeds high expectations. "Expectations are funny things," Higgins said. "As a writer, as a freelance writer, as a creator, you spend so much of your time trying to figure out how to cut through the noise: how to create something, how to write something, how to make something that has resonance, that is significant, and that is going to be seen. Then you do a book where that's a given, and where there's a great marketing team like we had with the Arune Singh and everyone at BOOM, where cutting through the noise is not a problem. It's living up to the hype. And so as a writer- luckily I have an amazing editor in Dafna, I have an amazing co-collaborator in Danielle Di Nicuolo, Walter Baiamonte, and Ryan on this event. And Dan Mora as well, although Ryan keeps Dan hidden from me. I never get to talk to Dan. "And that helps," Higgins continued. "That helps kind of ease the pressure because there are sounding boards there. And everyone at Saban as well. I mean, Mellissa and Brian. I've spoken to, kind of more and more as we're doing this event and we're on the same page with things, and we also had a really great plan in place, and we're not deviating from it. But, there are definitely- part of Dafna's job as an editor that no one ever really talks about when they tell you about what it's going to be like as an editor, is fielding those Sunday morning freakout calls or late Saturday night freakout calls from the writer going like, "Does this work? It's not working. Why isn't it working? Can you talk about this?" "It's so true," Parrott added. All those crazy phone calls don't seem to bother Pleban though. "It's actually genuinely my favorite part of the job," Pleban said. "Because what Kyle is saying in a sort of self-effacing way is first and foremost this event's about story. It's about character. It's about sort of both our love of the franchise and our excitement in being able to play in this world without necessarily the standard budget that a TV show has and has to work with. So we really get the opportunity to work with every character and a new setting. It's just as far as I guess what we can push poor Daniele, but there is really a spirit of collaboration and it's something that I'm excited, that I think we're all excited to talk about and excited to play with." "With the issue coming out this month, I mean as Kyle said we've been talking about this for over a year now, it's really exciting to finally share this with our fans and finally have people to talk to about this other than ourselves, on a crazy Sunday morning," Pleban said." As previously mentioned, Shattered Grid gets to explore a side of the Power Rangers mythos that doesn't get the spotlight in the television series, and the team is taking full advantage of that freedom. "I want to talk about what Dafna said, you know the television show is fundamentally a kids' television show," Casentini said. 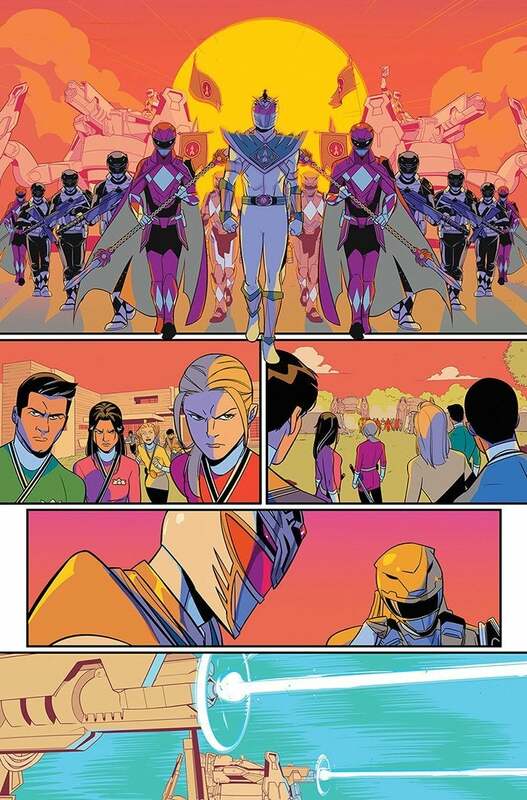 "And these comics have allowed the mythology of Power Rangers to expand to a much maturer and broader themes, and to use the comic book medium to its full glorious advantage, and that's what Dafna and these incredible writers at BOOM have done, and Shattered Grid is an amazing achievement. I'm so excited for you to see it in its full glory." "So that's the really rewarding part to me," Higgins said. "And I guess to finer point on it it's both- it's both exposer and expectation are the kind of double-edged sword that we deal with on a day-to-day basis on an event like this.